The ride begins in front of the Superman Statue on Superman Square and will continue through the streets of Metropolis, before entering Fort Massac State Park. 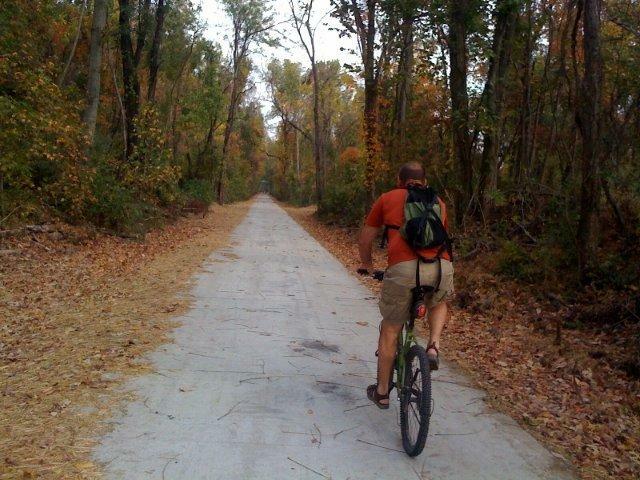 Once in the park, the the ride continues on the bike trail to Brookport City Park before returning to Metropolis. The full trip is a leisurely, scenic 20 miles. You will pass the Superman Statue and the Hope Light Lighthouse, along the banks of the Ohio River. You will also see the historic Fort Massac and continue through the park on a flat, smoothly paved trail. For an additional fee, lunch will be provided by the Save the Massac Theatre committee. Proceeds from the lunch will go towards renovating the 1938 Art Deco Movie Theatre in Metropolis. 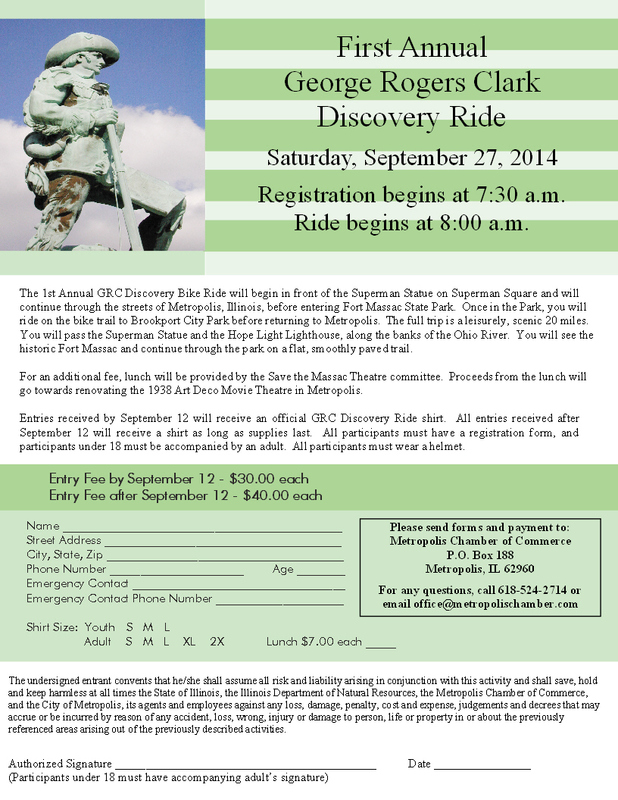 Entries received by September 12 will receive an official GRC Discovery Ride shirt with entry fee of $30. All entries received after September 12 will receive a shirt as long as supplies last with entry fee of $40. All participants must have an registration form, and participants under 18 must be accompanied by an adult. All participants mush wear a helmet. This entry was posted in All the Buzz - Bee Informed and tagged Bike, Fort Massac, Save the Massac on September 27, 2014 by priceanita.